The best personal loans. For you. A personal loan is a type of loan that is issued by banks and financial institutions. It is the perfect solution when you are in need of extra funds to finance personal expenses like your home renovations, holidays, education costs, business, medical bills or anything else. Personal loans give you the financial flexibility to use the funds as per your convenience and needs. As its name suggest, a personal loan is a type of unsecured loan and helps to meet your current financial needs. You don't usually need to pledge any security or collateral to apply for a personal loan. Personal loans work in the same way any other bank loan works. You apply for a specific loan amount from the bank to pay for things you need or want. If your loan application is approved, you will receive the lump sum amount that you applied for and then pay the bank back in regular monthly installments back. The monthly repayment amount includes the principal amount plus fees and interest. Personal loans typically have shorter repayment periods than other types of loans, ranging from 6 months to 10 years. 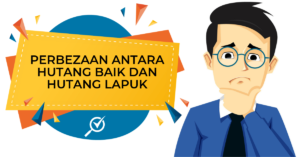 What are the different categories of personal loans in Malaysia? Debt Consolidation Loans A debt consolidation loan is a type of loan that you take to consolidate or combine more than one existing loans under your name. Fast Approval Loans These loans can be disbursed to your account from as quick as 24 hours to 2-3 working days. Suitable if you are in urgent need of financing and cash, or need to pay for an emergency. Islamic Financing Loans An Islamic personal loan is one that follows the Islamic banking principles. Islamic personal financing by Islamic banks in Malaysia applies the concept of Bai' Al-'Inah, and is fully Shariah compliant. Business Loans For first-time business owners or starting up a franchise, getting a personal loan can help you secure the seed money to start up your business ventures. Housing Loans You can use it to finance the down payment on your home or even to finance all the fringe costs that come with buying a home including stamping duties, processing fees, property tax, maintenance fees and to repay the monthly instalments on your mortgage. Wedding Loans A personal loan for your wedding day expenses, which would ideally cover all associated costs such as decoration, venues, food catering, and more! Car Loans You can use this to put money down for downpayment, to service your vehicle, and any related vehicle expenses you have. Perfect for your next car or motorcycle. Government Loans It is an unsecured financing option exclusively offered to civil servants or employees of the public sector. If you currently work in the private sector and/or you are an employee of a multinational company, you are not eligible to apply for this loan. It usually has below market interest rates or profit rates. Home Renovation Loans It is a loan to help cover your home renovations or maintenance expenses. It allows you to fund your home renovation projects to turn your house into your dream home. Personal loans are unsecured loans. This means that you do not need to offer any collateral or assets (like your house or car) to the bank when you borrow money. You also don't need to put a downpayment. Banks will review your financial background, such as your minimum salary and credit score, to determine whether to approve your personal loan application and at what interest rate. Because the loan isn't secured to any asset or collateral, the interest rates tend to be higher. Secured Loan Vs. Unsecured Loan: What’s The Difference? Now lets dwell deeper into what exactly are the differences between a secured loan and an unsecured loan. A loan that is connected to a piece of collateral - something valuable like a car or a home. The lender can take possession of the collateral if you don't repay the loan as you have agreed. A car loan and mortgage are the most common types of secured loan. A loan that is not protected by any collateral. If you default on the loan, the lender can't automatically take your property. The most common types of unsecured loan are credit cards, student loans, and personal loans. 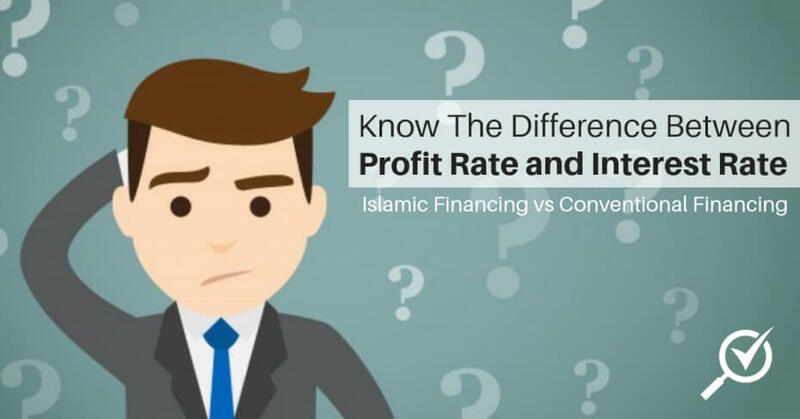 Islamic Financing Vs. Conventional Financing: What’s The Difference? Avoids interest-based transactions (riba), and instead introduces the concept of buying something on the borrower’s behalf, and selling it back to the borrower at profit. In place of interest, a profit rate is defined in the contract. The majority of Islamic home financing options in Malaysia today are based on the Bai Bithamin Ajil (BBA) concept. A small number of alternatives are based on the Musyarakah Mutanaqisah (MM) concept. Lenders lend to borrowers to make a profit from the interest charged on the principal amount. For property loans, borrowers pay an interest on the outstanding principal amount. Interest rates can be a fixed rate or based on a floating rate. Payment is made over a set tenure by installments. A portion of each installment paid goes towards servicing the interest, while the remainder goes towards paying down the principal. A personal loan is a loan taken by an individual to fund any personal expenses. These include to fund a wedding, to make renovations to the home or even for a vacation. But its important to take note of the two common features of a personal loan. Complete flexibility of end-use There are no restrictions on how you should spend the loan amount. This in contrast to a home loan or auto loan where the loan amount can only be used to buy a property or a vehicle respectively. A personal loan allows you the freedom to use the money in any way you want. Lack of collateral As mentioned above, a personal loan is an ‘unsecured loan’, meaning you are not required to provide any security to the lender in the form of cash, shares or any other assets. This might make it more attractive to some customers who may not be able to raise the cash required as collateral. Do not require any collateral. So if you do not have any assets like a home, or shares or gold to offer as security, and are in need of money urgently, this is perhaps the most convenient option. One of the best advantages for a loan applicant to choose personal loan over other types in Malaysia is the approval duration. In contrast to other loans such as housing loans, car loans, and etc., the bank can approve a personal loan application within 24 hours or the day itself. Besides that, the nature of the personal loan is not bound to any restrictions on what the loan applicant can spend on. Hence, the applicant can spend the money on home renovations, debt consolidations, car repair bills, and more. Age To qualify for a personal loan in Malaysia, you need to be over 21 years old, but not older than 60. For some loans the requirements are even tighter, requiring people to be under 55 or 50. Income In order to be eligible for a personal loan, you need a level of income that ensures the bank that you will be capable of services the loan requirements. Most personal loans in Malaysia require you to have an income of at least RM 1,000, although RM 2,000 – to RM 3,000 is more common. Of course, the higher your income, the better. If you do have an exceptionally high income, you might qualify for a select few low interest personal loans, only available to top earners. Residency Status In order to qualify for a personal loan, you will need to be a Malaysia citizen or have Permanent Resident (PR) status. Credit Score Before your loan application is approved, a thorough credit check is done to make sure that you are able to repay your loan. A poor credit history could lead to higher interest rates or loan rejection. You should always maintain a good credit history. Debt Service Ratio If you have ever applied for a car loan, home or personal loan, you will probably have heard the phrase ‘debt service ratio’ (DSR) from the bank’s loan officers whilst they explain to you how the loan works. The debt service ratio is one of the key factors that the bank will evaluate while performing their due diligence during the loan approval process.The DSR is calculated based on the total of all your monthly debt obligations – often called recurring debt / commitment, which includes your total loan on mortgage, car loans, personal loans, your minimum monthly payments on any credit card debts, your other loans, together with the monthly commitment for the current application, divided by your net income – after the deduction of income tax / KWSP/ SOSCO (where applicable). Employment status Depending on your employment status, you may be ineligible or will have additional requirements in order to apply for a personal loan. For example, fresh graduates will need to have at least 6 months’ pay slip to qualify for a personal loan, if not some banks will require a guarantor. There are also other factors like your CCRIS and CTOS reports that help the banks assess your credit-worthiness and ensure that they do not issue out a bad loan. However, in this article, we will be focusing on the debt service ratio and how it affects your chances of getting a loan. Most banks will quote you the flat interest rate (FIR) on the loan. FIR does not take into account compounding interest and can, therefore, be misleading if you have a longer-term loan where compound effects start to play a role. The interest rate that you have to look at in this case is the Effective Interest Rate (EIR) which does take into account compounding and allows you to compare personal loans to find the best offer. You don’t have to calculate EIR yourself, we have the EIR quoted with all our personal loan listings. Other than interest rates itself, there are several other fees and charges involved when it comes to applying for a personal loan. Often, people fail to factor in these charges. Some of the common fees and charges of a personal loan are processing fees, stamping fees, early repayment and late payment charges. Because Malaysia’s market is highly competitive, some lenders waive off certain charges completely, such as the annual fees. Here is the list of common documents that should be submitted irrespective of which bank you are applying and where you are located in Malaysia. If you are wondering if a personal loan is right for you? It’s important to ask yourself why you want to borrow money. Is it to pay off bills or move to a city with more job opportunities? 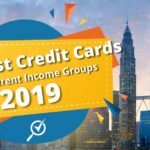 Is it to eliminate high-interest credit card debt? All of these are scenarios where it might make sense to consider an affordable personal loan. Personal loans can be your ticket to paying off high-interest credit card debt or tackling big bills. But like all debt, personal loans are not to be taken lightly. Once you've figured out how much you need to borrow and how much you can afford to pay back each month, you can start shopping for a loan. Personal loan calculators help you know what to expect. True affordability is a factor of both the personal loan interest rate and its payments over time. Even a personal loan with a low interest rate could leave you with monthly payments that are higher than you can afford. Some personal loans come with variable interest rates that can increase after a period of time. These loans are riskier than those with fixed interest rates. If you are looking at variable interest rate loans it's a good idea to ensure that you will be able to afford it even if the interest rate reaches the highest point possible in terms. Once you're ready to shop for a personal loan, don't just look at one source. Use an online comparison platform to compare the rates you can get from traditional banks, credit unions, online-only lenders and peer-to-peer lending sites. When you've found the best interest rates, take a look at the other terms of the loans on offer. For example, it’s generally a good idea to steer clear of installment loans that come with pricey credit life and credit disability insurance policies. These policies should be voluntary but employees of lending companies often pitch them as mandatory for anyone who wants a loan. Some applicants will be told they can simply roll the cost of the insurance policies into their personal loan, financing the add-ons with borrowed money. This makes these already high-interest loans even more expensive because it raises the effective interest rate of the loan. A small short-term loan is not worth getting into long-term debt that you can't pay off. There are alternatives to commercial personal loans that are worth considering before taking on this kind of debt. If possible, borrow money from a friend or relative who is willing to issue a short-term loan at zero or low interest. Alternatively, if you have high-interest credit card debt that you want to eliminate, you may be able to perform a credit card balance transfer. 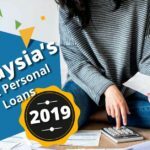 How to Apply for a Personal Loan in Malaysia? Before you start on the loan process, confirm what type of loan package you need. Personal loans are generally unsecured, meaning they use your credit as a gauge rather than an asset like your house or car. If you need a larger loan or need an open source of credit, you may want to consider other financing options. The amount you borrow should be based on the expense you’re trying to cover and your income. It’s better to determine how much you can spend each month and borrow less than your maximum so you can avoid stretching yourself too thin. Taking out a loan that’s too small can leave you with remaining financial needs, but if you take out a loan that’s too large, you’ll be stuck paying interest on a larger amount than necessary. This is why you should carefully calculate the debt you can handle and the amount of your purchase before you apply. Your credit will determine how much you qualify to borrow. Most lenders will require good credit scores and a multi-year history before they offer you an unsecured loan, but there are personal loans for people with bad credit. Before you apply, check your credit score so you know what type of loan you qualify for. Need more info? Our guide to personal loans will help you make an informed decision. You may also want to visit your local bank or credit union. The processing times may be higher than online loans, but you may receive a more prime interest rate. Instalment loans are the usual type of loan. This loan type is one you pay back on regular intervals with equal payments over a period of time called your loan tenure. The payments you make are calculated based on the amount of money that is lent to you, the interest, and how long your tenure is. Once you’ve made the final payment, the loan is considered repaid and that’s the end of it. If you need to borrow more money, you have to apply for another loan. A revolving loan works like a line of credit. It’s a type of loan wherein you are given your loan amount, but instead of receiving it in full, you can withdraw or borrow small amounts whenever you need, up to the full loan amount. In a revolving loan, you only repay the balance you borrowed, with an interest rate according to the amount you took out and not the full loan. As you repay the balance, you have access to that amount again, and you can borrow more money. 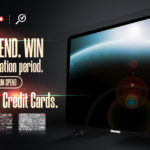 In this regard, it works like a credit card wherein you have a credit limit that you can use small amounts from, and repay the balance monthly. Revolving loans allows you to have access to flexible credit, and access to that credit whenever you need it. You won’t have to keep applying for loans every time you have to. In contrast, an overdraft is an extension of an account. This type of loan allows the borrower to continue taking out money from his account even if the credit limit has been reached, or if the amount borrowed has exceeded the credit limit. In essence, it’s a loan that isn’t subject to the same regulations and credit checks as instalment or revolving loans. Overdrafts can still incur expensive bank charges in the form of higher interest rates than the interest rate agreed on in your loan. As well, it is not advisable to go into or avail of an overdraft. 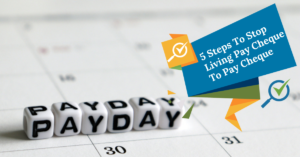 Taking money from your overdraft means that you do not have control over your spending habits, since you are going over your credit limit and tapping into resources beyond your capabilities. Keep in mind, though, that before you take a loan, ask yourself if you are ready to make regular repayments. Plan your budget and make sure you have the means. It’s also important to familiarise yourself with the borrowing process and know about any additional fees. Compare personal loan plans available to you so that you can find the best personal loan suited for your needs and financial capabilities. Use our comparison tool to get an estimate of how much you have to pay monthly for the loan amount you plan to borrow. Taking out a personal loan in itself does not affect your credit score. However, there are factors that come with taking a loan that can hurt or help your credit score. This includes your payment history, the amount of debt you owe, the length of your credit history, and the number of credit lines you have recently opened under your name. When you apply for a personal loan, the two factors that are immediately impacted would be the amount of debt you owe, and the number of credit lines you have recently opened. However, if you make timely payments and have a long history of managing debt, then the introduction of a new loan is less likely to have an effect. Can Malaysians working in Singapore apply for personal loans in Malaysia? Yes, but each bank has different criterias that need to be met, including minimum income, as it currently is not standardised. 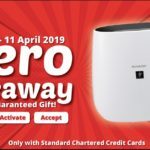 For instance, Alliance Bank requires Malaysians working in Singapore to earn a minimum income of SGD2,000 per month; AmBank requires the equivalent of RM5,000 per month; HSBC requires the equivalent of RM10,000 per month; Citibank requires the same amount in SGD and in RM; and Standard Chartered and Maybank requires the equivalent of RM3,000 per month, to name a few. These requirements are as of April 2017. 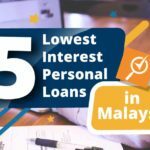 Which banks in Malaysia offer personal loans? Almost all of the trusted banks in Malaysia offer personal loans to its customers. Every bank offers unique products and services, so it's always best to compare the personal loans available across the market before deciding on the one that suits your needs best. Head over to the provider page for a full list of banks. What is a personal loan interest rate? In the simplest of terms, Flat Rate Interest is the type of interest that will stay the same on the principal loan amount, throughout your loan tenure. This means that whatever interest rate that you're charged at the time you take out the loan will remain the exact same figure as your final month's loan repayment. How are interest rates calculated for personal loans? On the CompareHero.my website, you will notice a column titled "Annual Rate". This is the interest rate that is advertised however, you should be looking at the EIR - the Effective Interest Rate. The EIR is a more accurate picture as it takes into consideration the compounding interest, processing and handling fees, which comes up to what you actually pay on your loan. What are some of the lowest interest rate personal loans in the market? A personal loan application might be rejected because you have a bad credit score, do not meet the minimum income requirements, have inconsistencies in your personal details and application form, have an unstable employment history, hold too many loans, or have overly high credit card debt. How many personal loans can I have? While there is no limit to the number of personal loans you can have, banks may not approve your application if you currently have a personal loan under your name. This is because banks review your credit history, credit score, monthly income, repayment patterns and debt service ratio when deciding to approve or reject your application. If a bank believes you are servicing too much debt, your second loan application may be rejected. We also know that personal loans come with much higher interest rates as it is an unsecured loan (see above) therefore, we do not recommend taking out multiple loans as this can be very expensive. 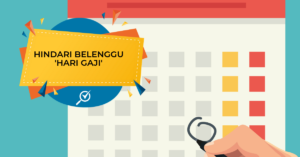 Should I choose personal loan or balance transfer to consolidate my debts? A debt consolidation loan consolidates several loans into one single repayment amount and a single interest rate. This can work in your favour if you are currently repaying multiple loans with multiple interest rates, and want to have one single loan amount with a reduced interest rate. If you decide to go for a debt consolidation loan, choose the best option that minimises your cost. A balance transfer can only be applied to credit card debts. It basically transfers outstanding debt from one credit card to another credit card with a lower interest rate. It does not have as much flexibility as a debt consolidation loan. Consider your needs to make the best decision for yourself. Just make sure you take any early settlement fees into account, when making your calculations!